5 Things Not To Miss In Istanbul | Tell Me… Am I From This World? Here are some of the things you shouldn’t miss when you are in Istanbul. Yes. This is where the Hagia Sofia and Blue Mosque is located which are the famous landmarks of Istanbul. But these are not the only places to check out in this very old community, and everything is within walking distance. The centre of this area is the Sultanahmet Square sandwiched between the Blue Mosque and the Hagia Sophia. Basilica Cistern, Hippodrome of Constantinople and Topkapi Palace are all located just outside the square. The Sultanahmet Metro and Tram stations are just a few meters away. At night, the square’s fountain dances in colourful lights and lots of benches that you can just take a sit and chill while eating Simit (Turkish Pretzel) with Nutella. During the day, have time to relax, see people as they walk by and play with the city’s super friendly residents – cats and dogs. Istanbul is a city alive 24/7. It is a touristic city where lots of restaurants and shops are open at night and is fairly safe for everyone – tourists and locals alike – to walk even at the wee hours. Turkish people love to eat and they take pride in their cuisine. It is advisable to try different places and different dishes around Istanbul and have a taste of authentic Turkish food. Try the spicy yet mouth-watering Adana Kebab at Mesale Cafe located at the courtyard behind the Blue Mosque or the addicting Etli Pilav (Meat Rice) at Tugra Kebab House in front of Darussaade Hotel. Be advised that rice in Turkey is seasoned with butter and oil and a little weird at first taste – it is almost sticky but not. 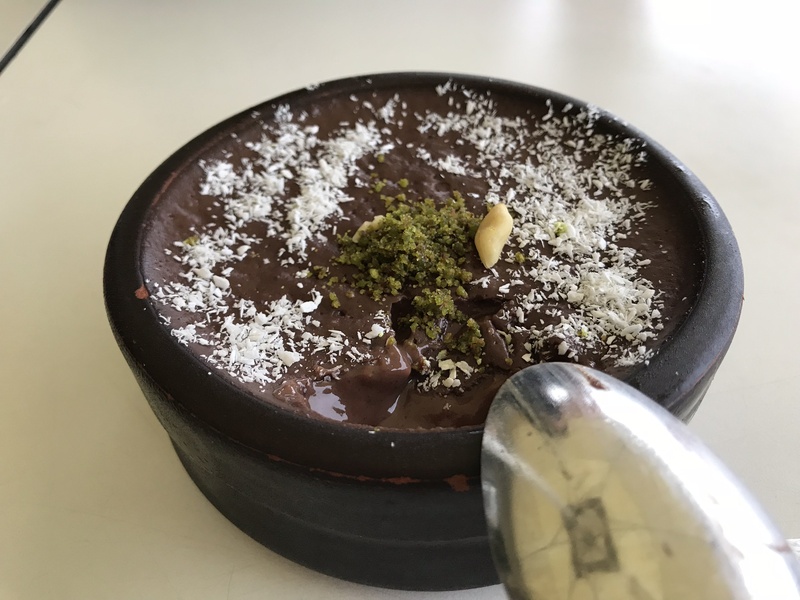 Also, Rice Pudding (Fırın Sütlaç) 📷, Kebab and Baklava 📷 are served in almost all restos while Turkish pretzel (Simit), roasted chestnuts and grilled corn are considered street foods and can be found along the streets. Be sure you have some space for those extra pounds you’ll gain while travelling here! 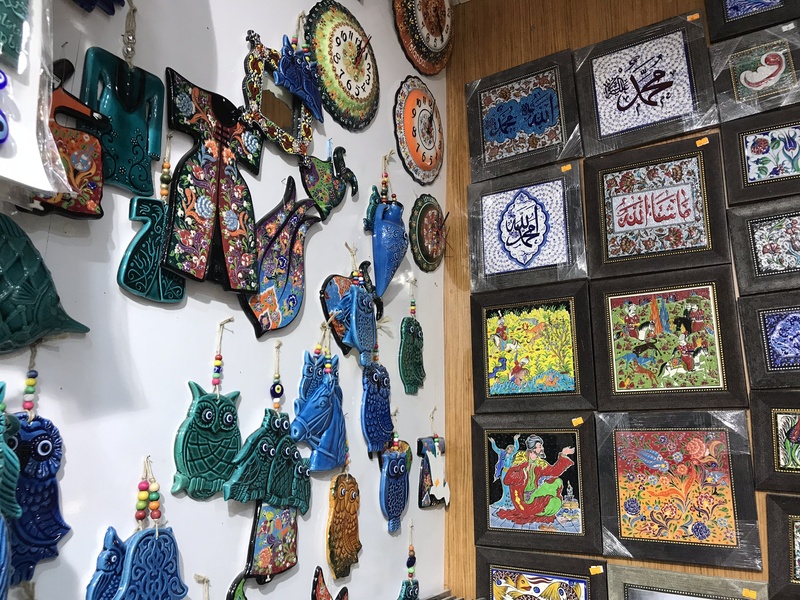 If you are one of those who loves to buy loose leaf tea, Turkish coffee, textiles, herbs and spices or just some souvenirs like Turkish delight, then you have to go to the Spice Bazaar. It is one of the two famous shopping complexes in Istanbul – the other is Grand Bazaar. Just be sure that you have a strong will not buy things not needed just because the vendors are a little bit pushy. One thing I learned – never to look or respond to any of their ‘Hi’s’ or Hellos’ or they won’t stop. They will call you or invite you to try their products and be very friendly to ensure you will buy from them. One to definitely try is the Ottoman Shop No. 17 located at the left side near the entrance of Spice Bazaar. The staff are so friendly, they won’t push you to buy things but will give you the chance to try almost everything they have. They have herbs & spices, teas and coffees, Turkish delights and chocolates. 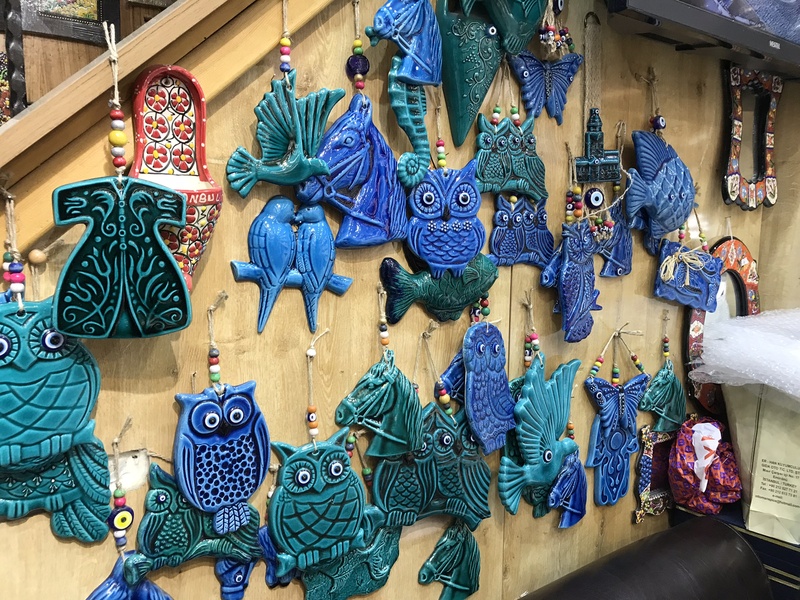 The lower level of the shop is a ceramic gallery (1)(2)(3) 📷 where you can buy great pieces of ceramic. The owner was so nice to us as we were the only Asians in the tour group and looked like kids that he gave us lots of discounts and freebies! If Beverly Hills has Rodeo Drive, Japan has Ginza and Paris has Champ Elysees, Istanbul has Istiklal Avenue. It is also called Independence Avenue and it is a pedestrian street stretching 1.4 km long from Taksim Square to around the Galata Tower. It has lots of establishments from retail branded shops, theatres, cinemas, cafes and restos to cater everyone’s needs. 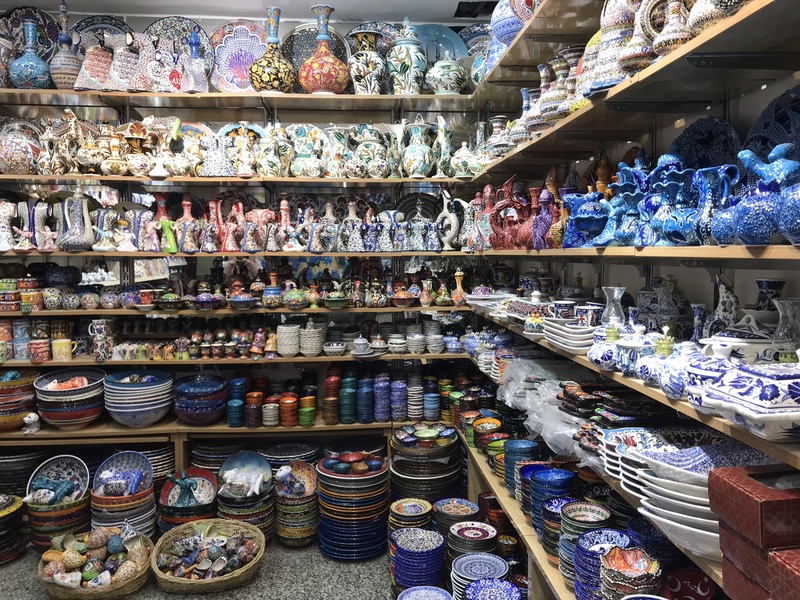 We were surprised to know that the prices of items here in Turkey are around 20-30% cheaper than Qatar’s. And it is not yet sale season when we came in December. They say that Winter Sale is in the month of January and Summer Sale is in July where prices go down as much as 90%! Try cafeteria-style Pehlivan Restaurant and get their rice pudding and savoury dishes. Go to Haci Bekir – the inventor of Turkish Delight – and buy some for souvenirs. Christians and non-Christians visit the beautiful St. Anthony de Padua Church located along the avenue and considered as the largest Roman Catholic church in Istanbul. Walk a little more and you will reach the Galata Tower where you will 360° view of Istanbul, however, expect a long line going up and with a fee. Might as well go to a very nice rooftop cafe – Galata Konak Patisserie Cafe – and you will have the same 360° view without the hassle of being hurried and you can sit while eating cake and drinking coffee. Istanbul is a transcontinental city in Eurasia and sits on each side of the Bosphorus Strait – European Istanbul on the west and its Asian side on the east. it is one of the most populous cities in the world and largest European city so traffic issues are common. 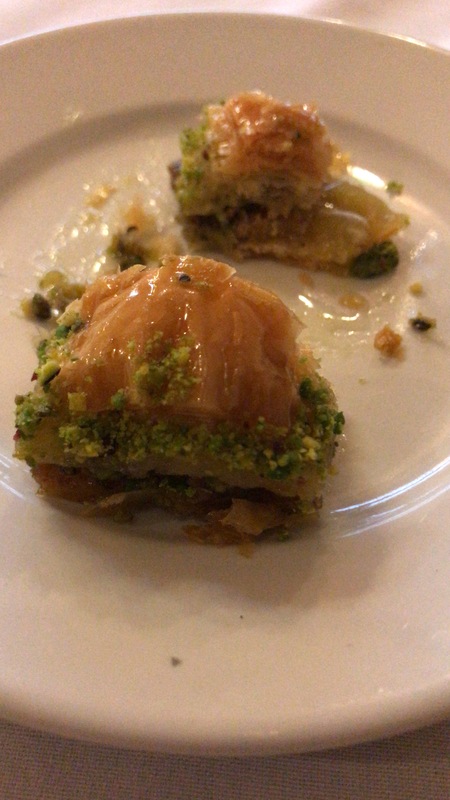 On our first day, we travelled from our hotel in the old city going to Taksim Square thinking it will just be a quick journey since it is just a 6-km distance, we took Uber at 500PM and reached Taksim Square at 630PM due to rush hour traffic. We were told by friends that we should get an Istanbul Card since it can be used on almost all types of public transport – bus, metro, ferry or tramway. It is very easy to get an Istanbul Card, you can just get it in any of the stations’ self-service machine and pay for the non-refundable 10 TRY (QAR 7.78 / PHP 110.50) and the amount you will reload (5, 10 or 20 TRY). It is convenient since it is so cheap as low as 3 TRY (QAR 2 / PHP 28.40) per ride and 1.90 TRY (QAR 1.50 / PHP 21.00) per transfer. The public transportation in Istanbul is good as you can go to different places of interest near the stations. If you need to go to Taksim Square from Hagia Sophia, you can take the tramway in Sultanahmet and get off at Kabatas and walk a few steps towards Taksim Station. Or if you want to ride the ferry going to Bursa from Sultanahmet, you can take the tram in Sultanahmet, get off in Gulhane, transfer to Sirkeci Metro and get off at Yenikapi station towards the ferry entrance. The comprehensive transportation map of Istanbul can be seen here 📷. There are a lot of other things to do in Istanbul but these are just the things that you shouldn’t miss so you can have a memorable experience in this city. I can even say that things to do and experience in Istanbul are endless. One week is not enough to experience them all even just in the old city area. Lots of restos to dine and eat, shops to buy things and places to explore. But take your time, unwind and chill in the European atmosphere of Istanbul.